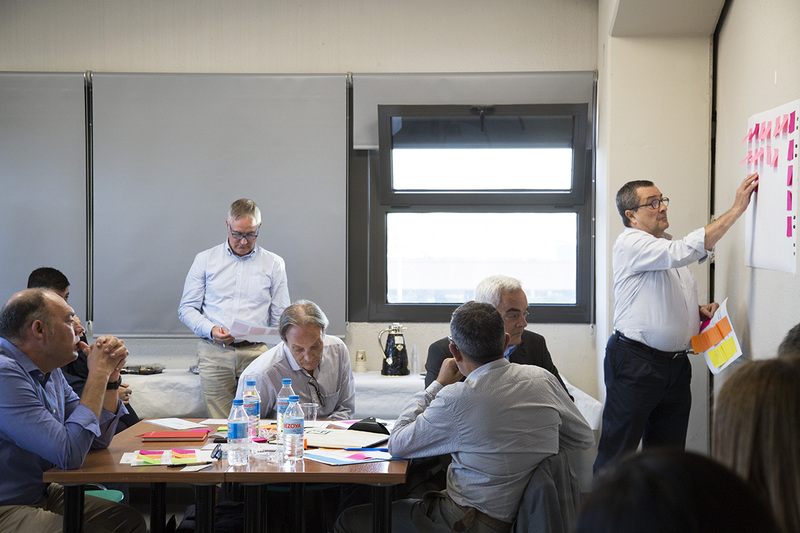 The Digital Built Environment Co-Creation Programme organized by the Process Innovation Forum (PIF) was held on September, 28 simultaneously in Badalona, Singapore and London. More than 25 attendees joined the 4 teams organized with the aim to detect the pains of the industry and work together with the use of Lean Construction system. This collaborative experience was hosted by BIM Academy, Fundación Laboral de la Construcción, l'Ajuntament de Badalona and Bimetric. Check out how it was! You can watch what the attendees said about their experience with BIM and Lean in construction projects. Visit the landing page of the event. Ignasi Pérez Arnal: A summary of the event and the main achievements of the workshop. Jose Maria Jaquet: The work of the Fundación Laboral de la Construcción to promote different initiatives towards the digitalization of the sector. Òscar Solaz: Explains what are the main changes to be performed in order to implement Lean in the public administration. Joan Gutés: Talks about what are the main barriers to innovation in the built environment. Rosa Maria Capdevila: Explains what should happen in the built environment to accelerate the digital transformation. Marcela Rubio: Talks about what should happen to accelerate the digital transformation. Álvaro Sáenz: Thinks about the main barriers to the innovation in the built environment. Agustí Jardí: Explains which agents should we convince as soon as possible about the necessary introduction of the Lean Construction.